It was damned cold when the EERC finished its season at Brands Hatch last November, and it will be damned cold when the club resumes racing activities at Silverstone on Saturday – so much for the “closed season” ! And there will be no gradual ramp-up of competitors this year, it’s straight in with full grids for each of the club’s three series, with some interesting new cars and drivers. Richard Chamberlain has dominated the Porsche Open championship for the last couple of years, and now brings the stunning 935 to Britcar, partnered by fellow Porsche protagonist John Allen. Newer examples from the German marque in Class 1 include the international pairing of Peter Cook / Franck Pelle, Ferrari regular Rod Carman, and Sunniva-backed Paul Phillips. Steve Hirst has replaced his stolen DTM Opel Astra with a similar, ex-Manuel Reuter 2001 example, sharing as usual with V8 engine specialist Ric Wood. 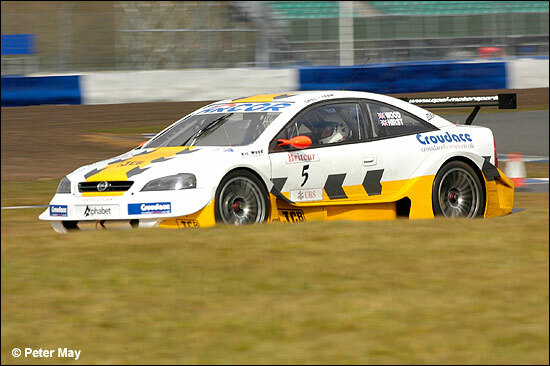 Talking of V8s, Nigel Musthill will be sharing his Opel V8Star, bound for the separate V8 Supercar series, with former Britcar series champ Julian Rouse. Class 2 sees four Ferrari 360s (Craig and Elliott Cole, Nick and Oliver Morley, David Back / David Foster, and Bo McCormick / Calum Lockie), against five Porsches. Team Parker will be running Bill Cameron’s 996 this season, and Bill is joined once more by ragged genius Barry Horne. Michael and Sean McInerney step up from the Production series in their 996, and Adrian Slater resumes his career after several years off, sharing the Eurotech GT3 with Mark Sumpter. Porsche-sourcer Henry Firman once again turns out with burly midlands construction magnate Pete Morris in the 911virgin.com 911. Add to this two BMW GTRs, in the hands of Peter Seldon / Eugene O’Brien, and the similar car of historic expert Peter Hardman and his young accomplice Nick Leventis, and you probably have the closest-fought of the three classes. Or maybe not – for Class 3 contains some old Britcar campaigners, who will be using their guile and experience not just to go for the class honours, but the overall podium. 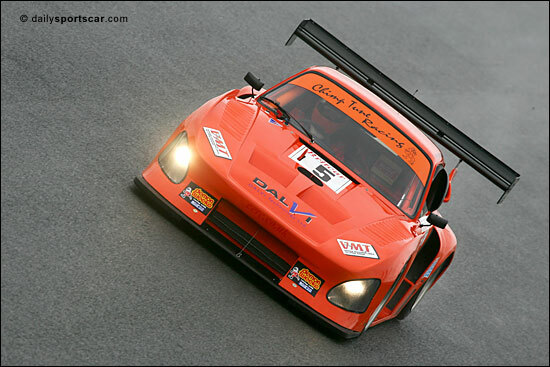 The GTS Motorsport BMW M3 of Harry Handkammer and David Leslie always runs strongly, as do the Marcos Mantis pair of Topcats Racing. Mick Mercer and Hyperion boss Richard Fores join forces again, and the ever-improving Jon Harrison teams up for Silverstone with the ubiquitous Jeff Wyatt, in the first of several diverse Britcar drives of his season. East Anglian businessmen Kevin Hancock and Leigh Smart are back in their Marcos, and myriad BMWs complete the field. Look out too, for the ex-Andy Rouse DTM Mercedes, now in the hands of Martin Johnston. 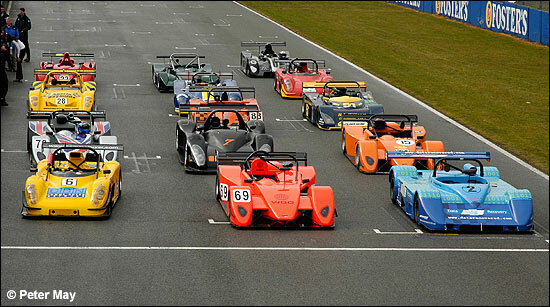 The Britsports series has received a push over the winter, and series co-ordinator John Veness has assembled a stunning range of cars. Tony and Simon Freeman, last year’s series winners, will defend their title in the Pit Bull Racing Radical Prosport, and will be up against the works-backed effort from Chiron (Alex Buncombe / Peter Hobday), and a quintet of Junos, including two from RSR Motorsport (Rob Croydon / Adrian Marlin, and Sam Alpass) - below. The quality of finish in the Britsports field is reaching new levels, and the stunning Radical SR8 of larger-than-life Austin Reynolds and works driver Nick Padmore is joined in the eye-candy stakes by the Pedrazza-BMW of father and son duo Steve and Will Hodges, their car being clothed in a vinyl wrap. With Pilbeam, Jade, Gunn, Bicknell, Norma, and the motorcycle-engined Speads joining the fray, and the longer race format now featuring refuelling stops, it could be anybody’s race. 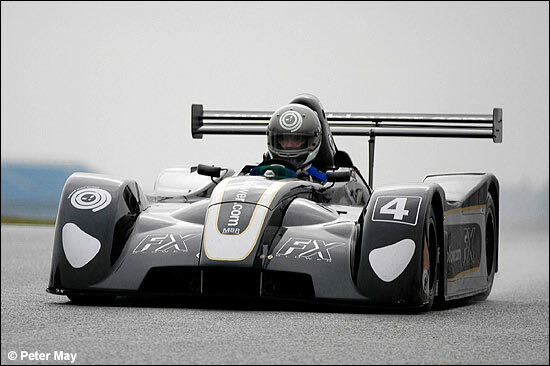 With more cars yet to come, the future for small prototype endurance racing looks bright. There's even a Formula X car in Britsports..
ProductionS1 often gave us the most competitive races of the weekend last season, and the top two classes will see Honda against BMW as the main protagonists, but Class 3 is a real melting-pot of talent and machinery. Don Norchi’s 2005 season lasted just a few minutes, his Volvo S60 wrecked early in the March test day, but he’s back this weekend, sharing with British Empire Trophy winner Piers Johnson. BTCC first lady Fiona Leggate returns to her roots in the Boston Bowl MG ZR, and it’s girls versus boys at Mickel Racing, where Kelly-Anne Smith (nee Mercer) goes head-to –head with husband Gary, in a pair of MG ZRs, Sarah Bennett-Baggs and Stuart Plotnek assisting to upset the marital bliss. Boulevard Racing, for many years front runners in the Clio Cup, will try endurance racing as a precursor to the Silverstone 24 hours, with regulars Martin Johnston and Paul Rivett. 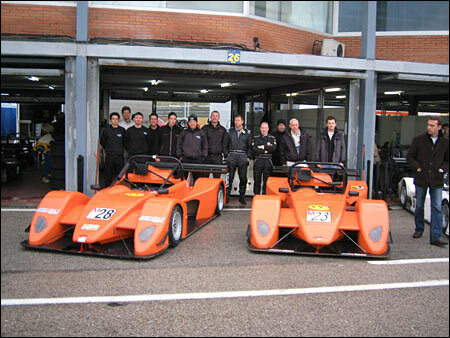 Three endurance races, with no clear-cut winners, and a lot of new faces. Action from early-morning qualifying, right up to dusk at 6pm. Get along there tomorrow if you can, but wrap up warm.